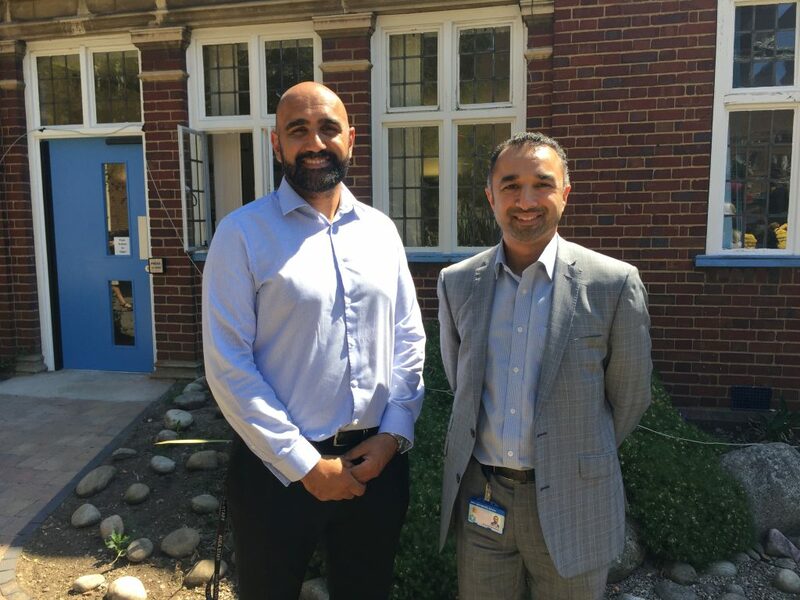 Jaskiran Madahar (left) who was reunited with Dr Abdul Maher at the NHS 70 tea party in July. Birmingham teacher Jaskiran Madahar was treated at City Hospital when he suffered four cardiac arrests on one day. The 36-year-old was brought back to life by medics on Friday the 13th. Tests revealed that Jaskiran suffers from rare Long QT Syndrome, a disorder of the heart’s electrical activity which can cause sudden, uncontrollable, dangerous arrhythmias, sometimes in response to exercise or stress. He is now on the road to recovery after having an Implantable Cardioverter Defibrillator – ICD for short – fitted by Dr Abdul Maher. (Left to right) Dr Arvind Rajasekaran, Patricia and Michael Willis, and Anne Findlay, Respiratory Specialist Nurse. Great grandad Michael Willis was in desperate need of a double lung transplant after he was diagnosed with the rare condition sarcoidosis. He was given just months to live – unless doctors could find a suitable donor. 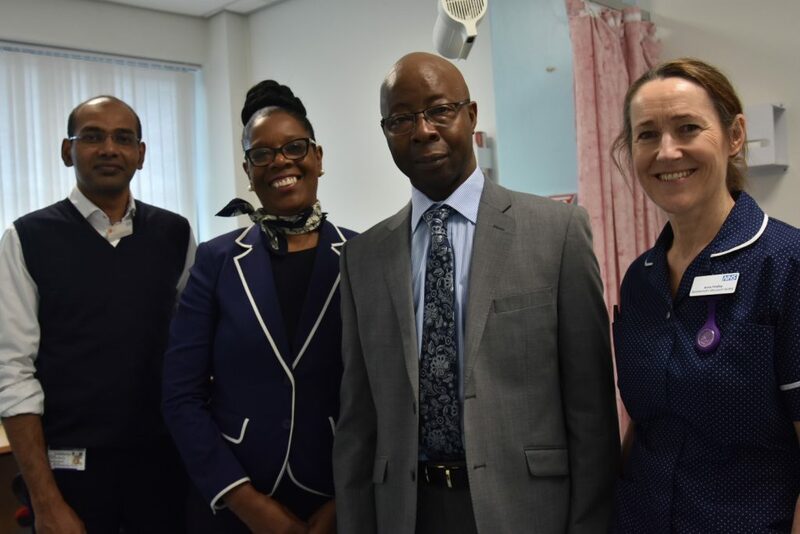 Consultant respiratory physician Dr Arvind Rajasekaran, based at City Hospital, was determined to save his patient, and so contacted the Royal Papworth Hospital, in Cambridge, in the hope they would assist in finding a donor, and carrying out the operation. Within two months a suitable donor was found and Michael underwent the operation in June last year. Michael, aged 60, said: “I feel extremely grateful to the person who donated their lungs to me. Like my wife said, someone had to go so I can be here. It was a miracle for me and my family. Patient Graham Harrison became one of the first to benefit from a unique collaboration between the British Red Cross and our Trust. 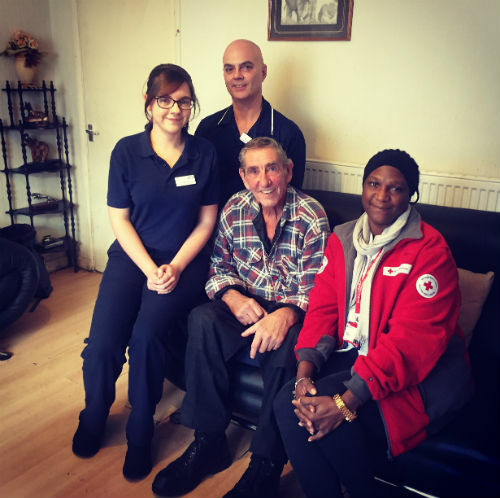 After suffering a stroke, Mr Harrison, a former karate instructor, was visited by Red Cross support worker Pauline Nettleford, who offered him a befriending service, as well as carrying out essential errands such as shopping and collecting prescriptions. The initiative helps those who are at risk of being readmitted to hospital and it ensures that people can often remain in their own homes. Graham hailed the service as a “brilliant idea”. He added: “It’s been an absolutely fantastic service. When I came out of hospital, I couldn’t do anything. I had a lot of help from the nurses and physiotherapists, but also from Pauline too. She has assisted me in many ways. Ways that have surprised me. She’s offered to go shopping for me, accompany me to hospital appointments, take my dog for a walk – and even take me for a walk. “She’ll come over and sit and chat to me but do things, like make me a drink or help with light housework. Freddie Smith, aged two, who loved meeting the ponies. 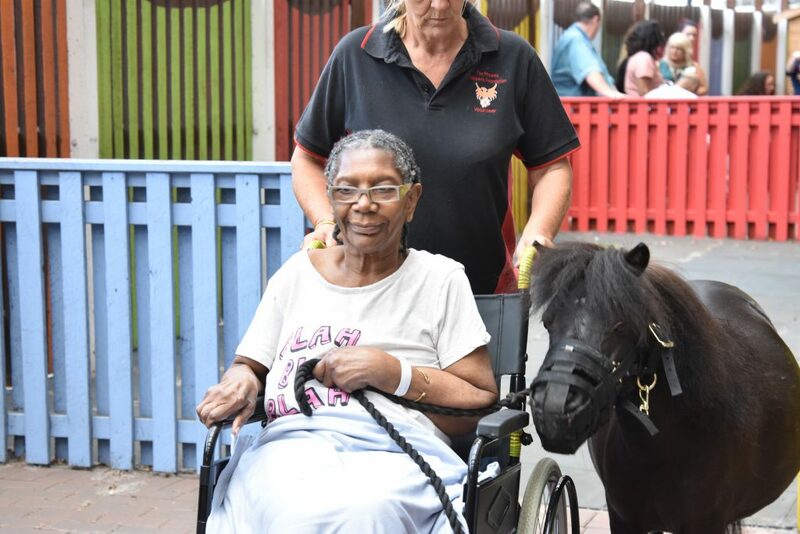 Patient Hyacinth Brown takes one of the ponies for a walk. 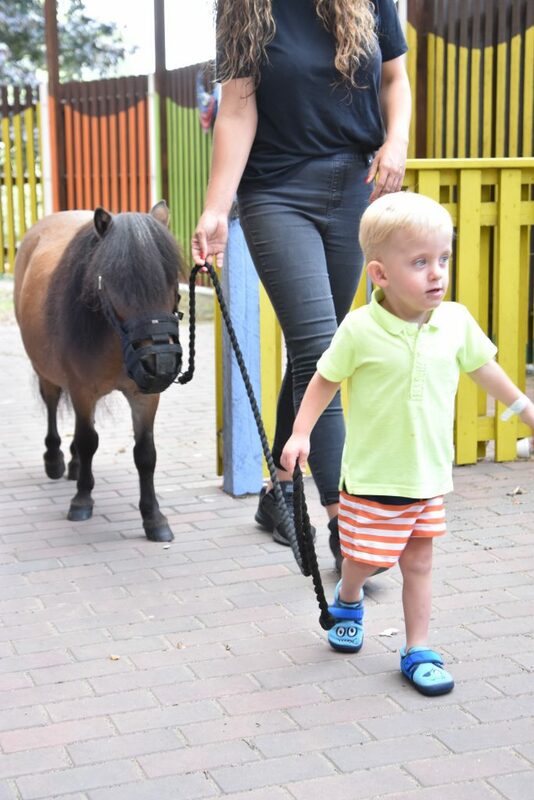 The mum of a two-year-old patient has praised our pet therapy programme which saw two miniature Shetland ponies visit Sandwell Hospital. Lilly and Fern were brought along to the site by the Phoenix Children’s Foundation, based in Leicestershire, and they were petted and fed by youngsters being treated by the paediatric team as well as stroke patients.The visit was funded by Your Trust Charity which is run by the Trust. Claire Mcquoid, 38, was with her son Freddie, aged two, who is being treated at the hospital. She said: “We’ve learned with Freddie that he’s very delayed with his speech due to being born prematurely and suffering meningitis at a young age. There are many ways that as a patient or visitor you are able to share your experience.We are happy to receive feedback about the care you have received. This can be given directly through this website, or by using the NHS Website (formerly NHS Choices). You can find out more about the different ways to give feedback here. If you are an inpatient, you or a loved one can also use our Purple Point phones, which are situated outside every ward area. Click here to read more about this initiative.